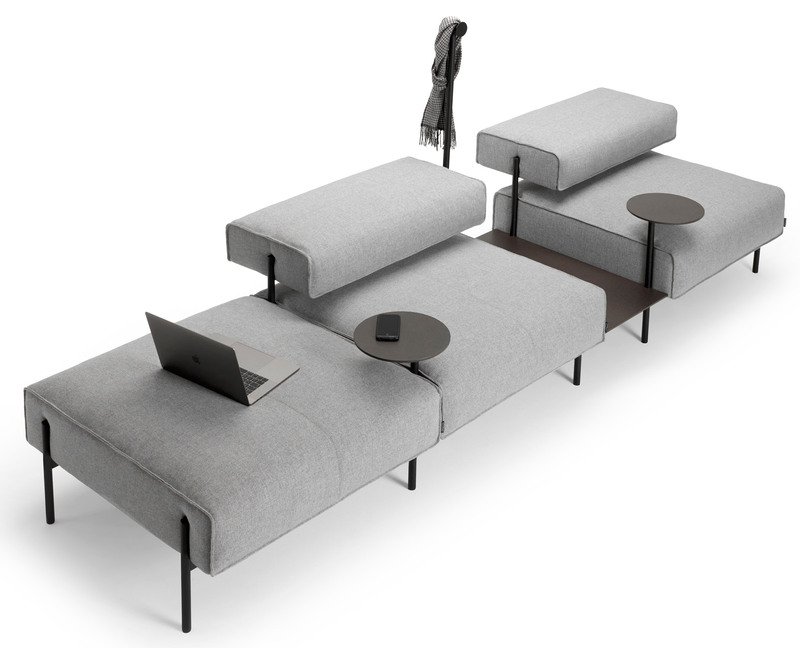 Movable table tops for working at a laptop and hangers for storing coats can be incorporated into this modular sofa, created by British designer Lucy Kurrein for Offecct. 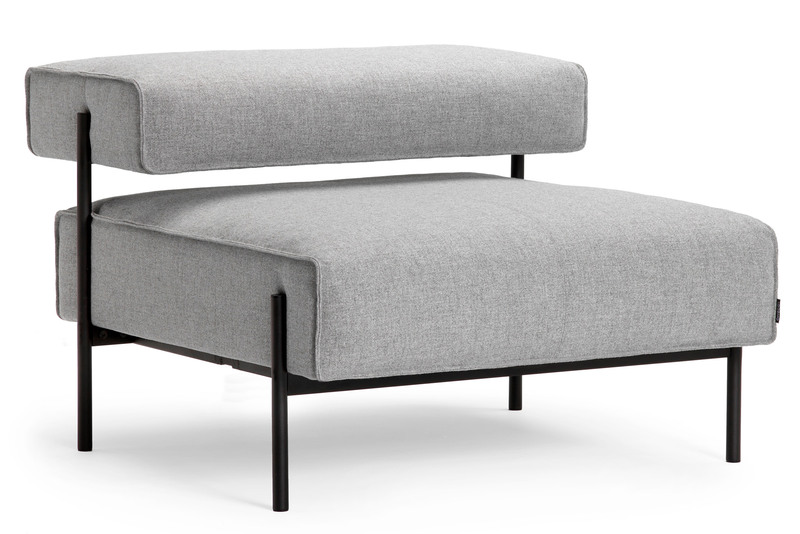 Kurrein's Lucy sofa is based modern working environments, such as hotel lobby spaces – where work and social interactions happen simultaneously. 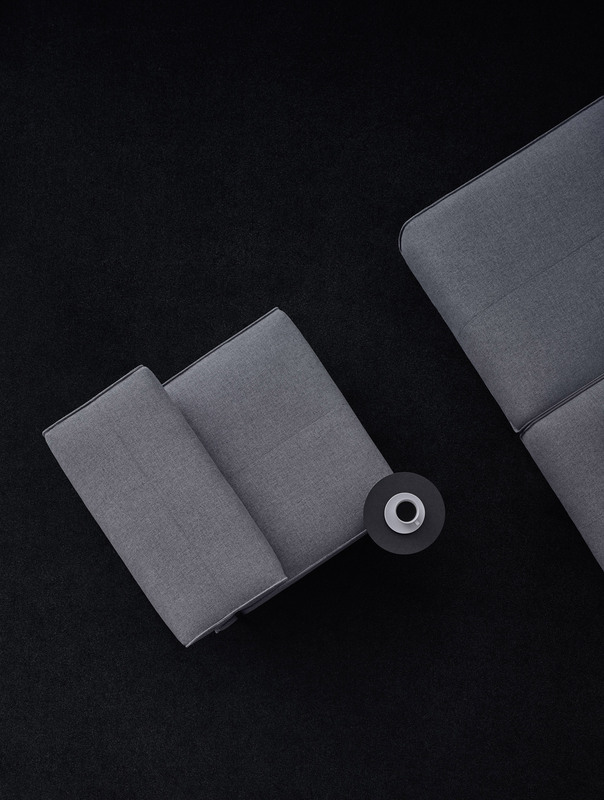 The sofa is made up of individual upholstered seats mounted on black lacquered steel frames that can be joined together to create a custom seating system for public spaces. Coat hangers and swivelling side tables for resting coffee cups or laptops can be interspersed between the seats, while USB ports are nestled discreetly under the backrest, which doubles as a table surface. Spacer tables lacquered in anthracite grey can also be added to create distance between the seats. Kurrein, who set up her own design studio in London in 2013, said she set out to make a sofa that was both soft and inviting but would maintain its shape. 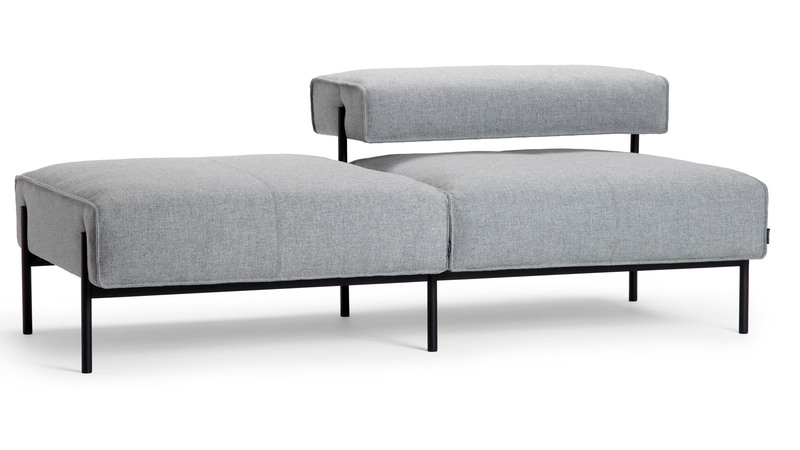 "This is a high-performance sofa – although you wouldn't necessarily know it – and that is the point," she continued. "It is a soft response to lounge working, and wouldn't look out of place in your own home. The generous proportions allow you to get comfy whilst having the crucial support needed to work." 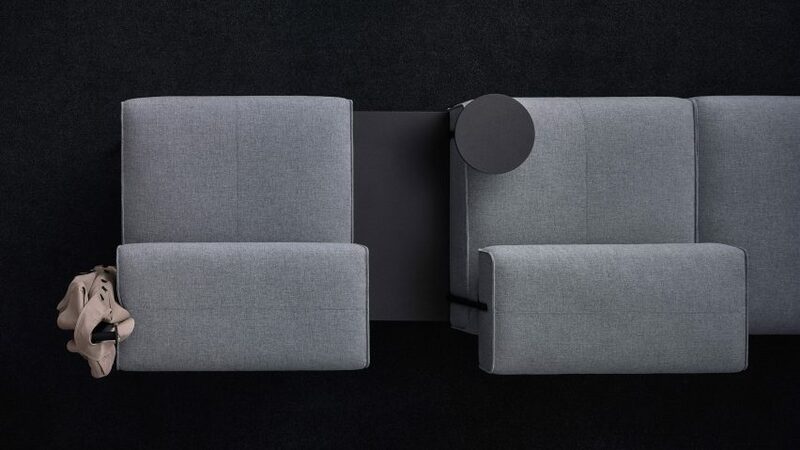 The sofa, which was previewed at Stockholm Furniture Fair earlier this month, marks Kurrein's first collaboration with Offecct and will be officially launched later this year in October. Kurrein is the latest designer to create furniture intended to bring domesticity to the office. Last year Another Country launched an office furniture range designed to make offices feel more homely, while Basque studio Iratzoki Lizaso created an office furniture range with soft leather details to bring warmth and richness to the sometimes sterile office environments. Stockholm Furniture Fair took place during this year's Stockholm Design Week. Elsewhere in the city, Danish brand Hay turned a showroom into an office-like installation exploring the future of creative workspaces.